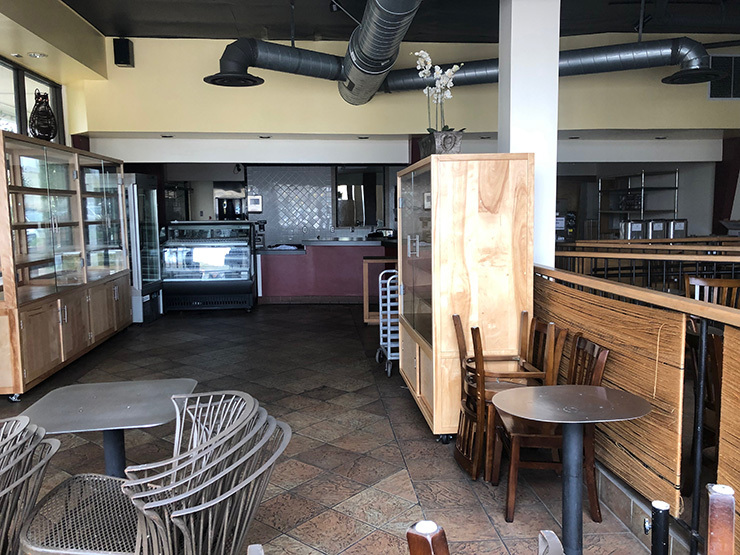 Reader Hugh passed the word that it appears like La Bella Rosa Bakery at 7127 Hollister Avenue in Goleta, near Albertsons, is closed. Hugh and The Restaurant Guy both paid visits multiple times and the place is locked tight. All the cases are empty and there is no signage. The business opened in February 2016. The flagship location on the west side at 1411 San Andres Street continues to be in business as usual. That’s too bad. It seems like a weird location, though. Nothing seems to last long in that complex. Now with Pacific Sales and the other restaurant gone, people are probably just going to Albertsons or the DMV, so making a destination bakery or cafe is probably tougher than ever. I never saw anybody in there. I’m sure they must have gotten a lot of catering business and I was never nearby in the early morning hours, but still…L&L and Phamous Cafe seem to do very good business in there. The Boba/karaoke place recently closed as well. Pacific Sales wasn’t necessarily a high traffic draw, so they should probably work on that first…a TJ’s would probably do really well and take some pressure off the Calle Real location. The only other thing that fits in that space is a drug store, but with the new CVS and Target, that probably won’t happen…and it already failed once as a Rite Aid.